The new 2017 map update brings the latest road developments in the country to your carNAVi. We’ve added new roads including NAIA Expressway, updated routing, added countless new Points of Interest and all new contributions received from you. 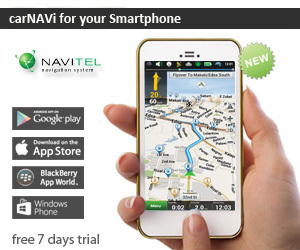 Update now to get the best navigation results with your carNAVi. Installation instructions or select ‘Read more’ on the download page. * If you need older versions, please have a look in our software archive. Read detailed instructions for Mac OS X / Windows. 1. Download the map installer and save the file on your local harddisk, for example on your Desktop. To find out your current map version, view the map area to be checked in a zoom level <2km, press the ‘Menue button’, then ‘Information’ and ‘About Map’.